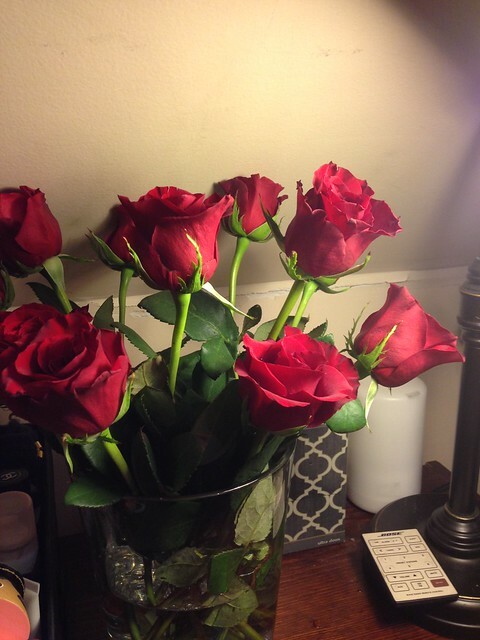 K had roses waiting for me on Thursday evening. I was feeling anxious. Who's comfortable waiting to be operated on? Off we went, bright and early, to the hospital. Park the car, second floor, check in, do the forms, go to pre-surgery...but then there was a sudden rush to get me to the OR. Dr. Fancy was agitated. The patient before me was hungry and decided, shortly before his surgery time, to eat a powerbar. You might not realize how much this kind of thing disrupts the process (and it was the second time this guy had canceled) but there were, suddenly, 20 people who had to re-group. So, Dr. Fancy decided to bump up my time and came downstairs to fetch me. We walked upstairs together (he held my elbow), I made nervous conversation, we got paper hats together and he settled me into a bed with warm blankets. I was very anxious but my anesthesia team took great care of me and I was soon sleeping. It all went well and K met me in recovery. 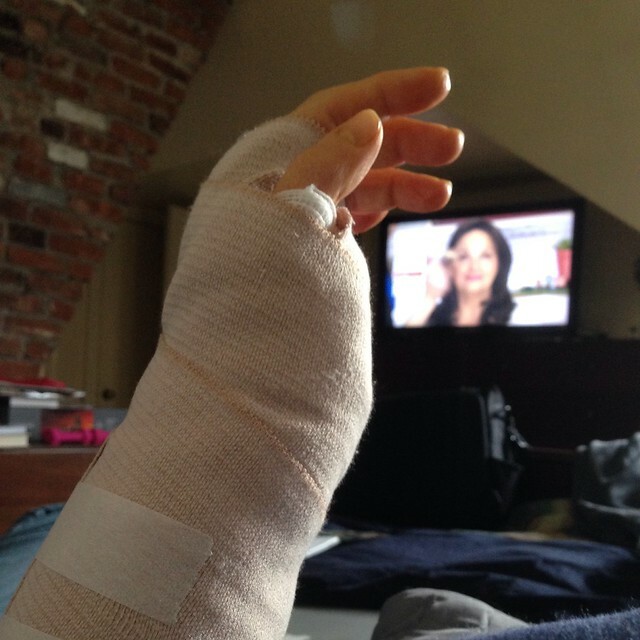 We were out around noon, me with a big bandage, splint and sling. It feels very familiar but, happily, just as I was told, nothing like the first time. At its worst, my pain level hovers between two and four and is easily managed. And once again I am in awe of the great care I had and the small moments that made such a difference...all the difference. I'm so excited to have the hardware out. Goodness what a journey you have been on. Take good care. Wow. Thanks for showing us how it should be done. You are a humanoid worthy of much appreciation. Heal and rest. Forgive my stupid question but why did they put you to sleep? Did you ask for it? Here they hardly ever do it unless your head/shoulder is involved. Congratulations to have gotten this far. I hope your recovery is smooth and as pain free as possible. Glad all went well. Hope the healing happens quickly. Oh, I'm glad it's over finally. Take it easy.